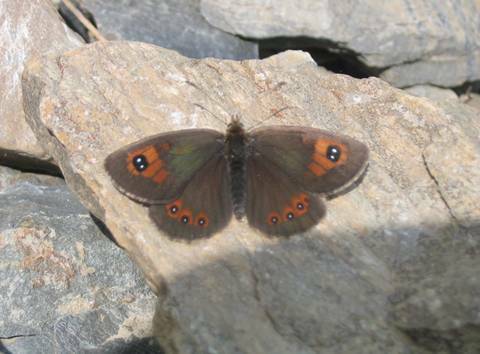 This brassy ringlet has well developed markings on the upperside. The two eyespots on the forewing are large and well merged together and there's some very distinct red patches tapering below the eyespots. The hindwing red patches and eyespots are complete and conspicuous. The brassy sheen across the forewings is visible from some angles and is showing a little in the second photo. 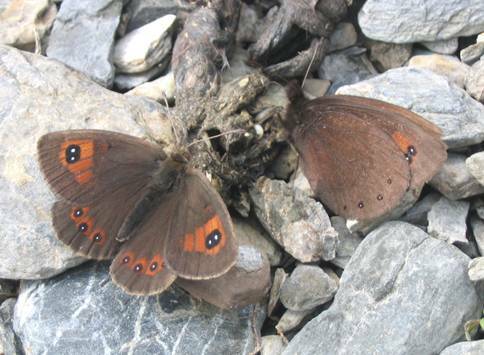 The underside of the hindwing is characteristically pale grey as in other close relatives of this family.